A trinket box with pretty butterflies and flowers. 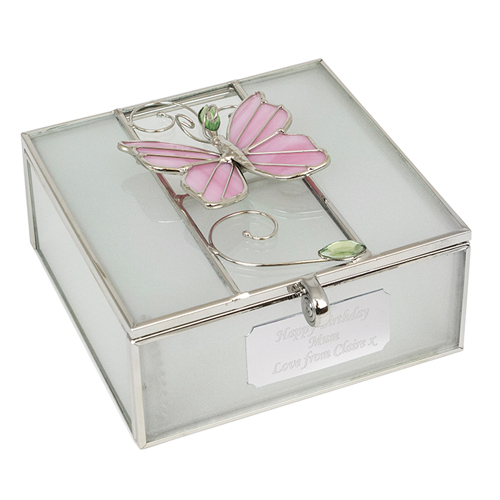 This glass and wire trinket box can be personalised with any message over 3 lines and up to 20 characters per line. Lid is hinged with fasten to the front of the trinket.